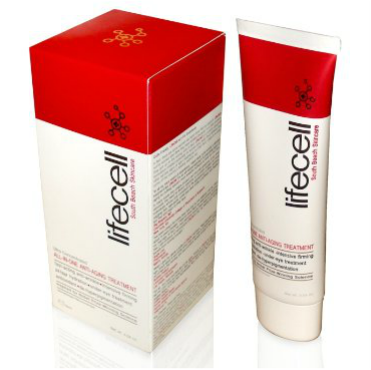 ​LifeCell intensely moisturizes and nourishes your skin... like it has never been moisturized before ever! LifeCell reduces the appearance of discolorations and imperfections. 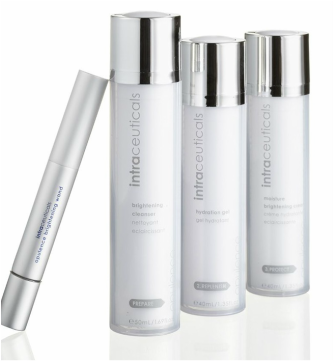 LifeCell reduces the appearance of under-eye puffiness and dark circles. Lips appear fuller; fine lines around the mouth appear smoothened and lip "bleed" is prevented. LifeCell helps stimulate production of collagen, helping lines, wrinkles and unsightly "crow's feet" to look more smoothened out, lifted away. Give the gift of PERFECTION! ​Luminess air's specially formulated foundation allows you to spray away a verity of unwanted imperfection such as acne, discoloration, dark circles, bruising, scars, wrinkles, rosacea; even tattoos. This system come with a guaranteed 8 piece color match starter kit giving you everything needed to create a flawless, camera ready look from head to toe. Available in light, medium and dark skin tone packages makeup kit includes: 5x 0.25 ounce ultra foundations; 1x 0.25 ounce blush; 1x 0.25 ounce moisturizer/primer; 1x 0.25 ounce bronzer. 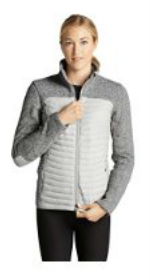 Specifically designed and fitted for women, this is the lightest, warmest field jacket Eddie Bauer has ever built! The award-winning design includes a 40-denier ripstop nylon shell with CORDURA® nylon overlays and stretch side panels for complete freedom of movement. 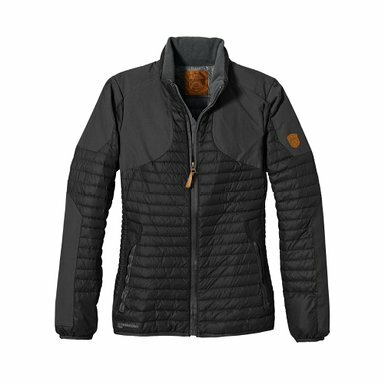 The jacket includes StormRepel®, which is a durable water-repellent which sheds moisture and retains its insulating loft even in wet conditions. 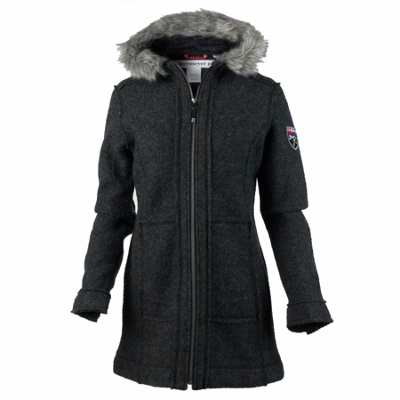 This jacket makes the perfect gift for someone that loves the outdoors and wants to stay WARM and DRY! The Ginger Boiled Wool Coat is quickly becoming an Obermeyer favorite. Constructed with 100% boiled wool and lined with nylon for comfort. The fur trim removes for a sleeker silhouette. A perfect coat for any town excursion. Dense, boiled wool fabrication offers classic, cold-weather layering. Princess seams create a sleek, feminine silhouette. Snap-button cuffs with edelweiss hardware. The old concept of the "sweater" is OUTDATED. Eddie Bauer has reinvented the sweater with a wind-resistant polyester fleece with nylon overlays filled with Premium Down. The result is a lightweight, high-performance sweater that's built for action and made for comfort! Give her the gift of Hair-Free Living! 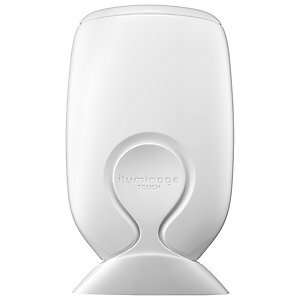 A compact, professional, at-home hair removal device for face and body. Powered by elos technology, the Iluminage Precise Touch Permanent Hair Reduction device is the only FDA-cleared technology for permanent results on all skintones, including the widest range of hair colors. Precise Touch treatments disable the hair follicle so that unwanted hair does not grow back. Gentle, compact, and easy to use, experience the freedom of silky-smooth skin without the hassles of shaving and waxing. This product is clinically proven for all skintones and used by dermatologists around the world. Give HER the gift of luxurious JEWELS! in a wide array of colors, styles, and sizes, catering to all women. women. All pieces are specially made by these women, making both accessorizing and giving back easy. Give the gift of Anti-Aging! Intraceuticals offers a true brightening and hydrating experience thanks to the illuminating effects of Opulence 3 Step Hyaluronic Layering System. Revive, Replenish and Protect with products from the Opulence range. Give the gift of skin BRIGHTENING and PROTECTION! Colorescience introduces a higher standard of beauty with their 3-in-1 even up™ - clinical pigment perfector™ SPF 50! This patent pending formula instantly evens skin tone and provides SPF 50 protection while its highly effective skin-brightening complex, LUMIRA™, addresses the appearance of skin discoloration. This makes a perfect gift to give (or receive). Give Her the gift of STYLE! 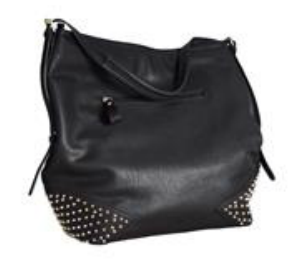 ​Roomy enough to carry all your essentials, this studded hobo bag is the perfect on-the-go bag for the on-the-go gal! ​The CAT Footwear Alexandria Waterproof Boot offers plenty of coverage on cold days, with a streamlined classic riding boot look. 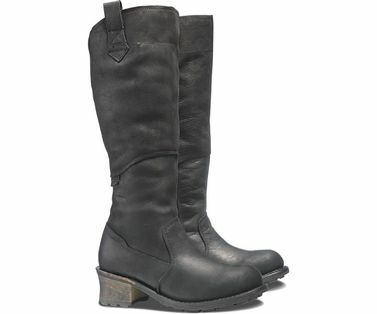 This boot pairs well with tunic dresses and skinny jeans. Add cozy infinity scarves for that chic, layered look. OROGOLD'S 24K Deep Tissue Rejuvenation Mask & Collagen Eye Renewal Mask are made with a magnificent blend of Gold with Lavender and Collagen. Formulated to nourish the deep tissues of your skin and repair the signs of aging by rejuvenating it. This mask will replenish, relax and give your skin a boost of vitamins, minerals and long lost vital ingredients to help you look and feel radiant! 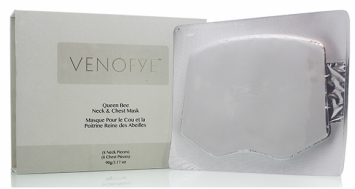 The Venofye Queen Bee Neck & Chest Mask will target the complex and delicate areas many of us tend to forget. Pamper your Neck and chest with this unique mask formulated with Lavender Oil, Bee Venom, Aloe extract and Collagen. This boost of nourishing ingredients will help reverse signs of aging and reduce the appearance of wrinkles and inelastic skin! Lisa & Lucy, a contemporary fashion collection offers a new contemporary collection that focuses on all women with its flattering silhouettes, while offering sizes XS through 3X, meeting the demands of modern girls everywhere. Lisa & Lucy features classic item with a touch of trend, and every piece added to the collection is proudly made in New York. Lisa & Lucy will officially launch January 2016, however the designer has released an exclusive 12-piece capsule collection that is now available for purchase online. Our favorite from the collection is the Vivien Leigh Dress, it's a halter lace bodycon dress perfect for a night on the town! Give HER the gift of SEDUCTION! European company, Triumph features stunning lingerie, loungewear and more. One of our favorites for Holiday Gift Giving is the Beauty-Full Icon Bra & Hipster. The elegant underwire bra from the Beauty-Full Icon series creates a beautiful décolleté with a sophisticated vintage feel. Contrast-color straps, a dainty bow and an elegant, floral lace trim. Panels of lace, and an elegant contrast-color waistband and bow detail combine to create a vintage, European look and feel of the Beauty-Full Icon Hipster. 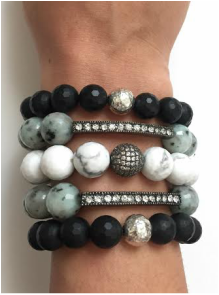 This holiday season give the gift of a curated arm party with Oriana Lamarca’s handcrafted bracelets! These travel-inspired collections of stackable bracelets include semi-precious gemstones and make a bold fashion statement. Oriana Lamarca’s jewelry has been seen on celebrities like Melissa Gorga of The Real Housewives of New Jersey. Made for the sophisticated woman who craves style, quality, and affordability, her new Noho Chic Arm Party collection makes a wonderful gift! Give the Gift of Contour! Lift and restore the appearance of tired eyes with this concentrated contouring treatment, powered by triple-effect firming technology to dramatically revitalize the look of the delicate eye area. A targeted blend of Palm Extract and Red Algae delivers an instant firming and tightening effect on the eyes' appearance, while Brown Algae Extract gives skin the look of youthful energy. Spanish Lavender smoothes and softens the look of wrinkles, while Cucumber Seed Oil, Arnica Extract and Estate Grown Beauty Complex work together to reduce the appearance of puffiness, dark circles and signs of fatigue. This silky mask leaves a lightweight layer on the surface of the skin and continues to deliver results long after application. This includes 30 high-performance ingredients! Give her the gift that keeps her WARM! With tonal wools that compliment waterproof leather, Chaco's fold-down Barbary boot is the perfect balance of "technically casual" with trend-worthy execution. It's cold-weather crossover with a touch of Chaco: all mountain, fully lifestyle! These make the perfect gift for those that love adventure and warmth!